Neuropathy is the medical term for nerve damage. Peripheral neuropathy, which causes pain, numbness and tingling, can be notoriously difficult to treat. As many as 70 percent of diabetics develop peripheral neuropathy, which can contribute to limb amputation due to loss of pain sensations in the feet and legs over time. Lasers use concentrated light beams to repair damaged tissue, and have demonstrated limited success in the treatment of neuropathy. Lasers create a narrow beam of high-intensity light. The goal of laser therapy is to increase blood flow to the area of the damaged nerves and decrease pain by releasing nitric oxide. Use of lasers to treat pain may decrease the need for surgery in some cases. Lasers are classified by their degree of power, from class I to class IV. Neuropathy treatments generally use a low-level class III cold laser, although some practitioners such as chiropractors advertise a high power class IV therapeutic laser, which should not be confused with a class IV surgical laser. 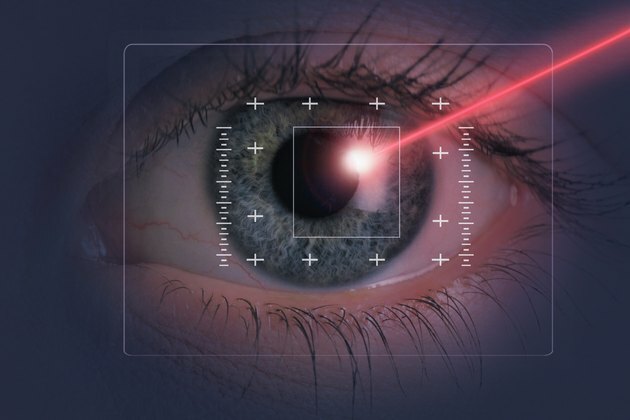 According to the United States Food and Drug Administration, class IV surgical lasers are powerful lasers that can cause skin and eye injuries when not used properly. A Canadian study published in the April 2004 issue of "Diabetes Care" tested low-intensity laser therapy versus sham treatments for diabetic retinopathy in 50 patients over a six-week periods. Pain decreased during the sham treatment, but decreased slightly more in the group receiving low-level laser therapy. However, no improvement occurred in nerve conduction studies, sympathetic skin response, or quantitative sensory testing, researchers reported. While lasers have demonstrated proven benefit in eye and skin surgery, surgical lasers are much stronger than those used to treat neuropathy. Many insurance companies do not cover the cost of either low-intensity laser therapy or high power therapeutic laser for neuropathy, stating that multiple meta-analyses of available studies have not proven the treatment has any benefit. High power laser therapeutic treatments are also unproven, although the claims made are currently under scrutiny, according to Aetna, one of the nation's largest insurance providers. While laser treatment demonstrates a definite benefit when used for certain medical conditions, its use to reduce neuropathy pain has not been conclusively proven. Unfortunately, surgery does not always help neuropathy, either. If you suffer from neuropathy, talk to your doctor about possible therapies before trying unproven treatments, and keep in mind that laser treatments that sound too good to be true probably are. Some practitioners and manufacturers make claims about the penetration depth of lasers that are scientifically unsound, Spectra Medics, a company that produces lasers, warns. U.S. Food and Drug Administration: Frequently Asked Questions About Lasers What Is a Laser?